Pay 30% now and the rest on the day of removal of your equipment. Great performing skis on every slopes, very good driving curve and stability at all speeds. Our rental formula allows you to book your equipment in a few minutes depending on your level and your desires WITHOUT tedious questionnaire to complete. By booking your PACK online, you pay only 30% with order and enjoy our web fares on all of your rented equipment. Upon arrival, simply go to the Ski Shop for a test of shoes and skis. You will go on the slopes with an equipment perfectly adjusted and adapted. Ski Technic provides rental services to customers residing in France, in Europe, in Asia and in USA and skiing in France. By using our website and/or booking rental winter sport equipment through our website you agree to these General Terms and Conditions. The General Terms and Conditions may be subject to modifications. The applicable conditions are those in force while you are booking. All the equipment available for rent is described on our website, with the understanding that the customers are able to book a category of equipment (pack). As Ski Technic’s selection is based on the equipment’s choice, the selection will be available to reservation until 2 days before the beginning of your stay. Our engagements for the model selection ? 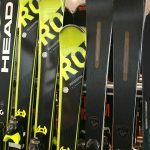 The “satisfied or upgraded guarantee”: if the model selected at the time of reservation is not available when the customer arrives at the shop, we promise to upgrade the customer's selection; if an upgrade is not possible, Ski Technic will provide the customer with a model at least equivalent to the selected one. The rental fees are fixed according to the pack and vary based on the rental period, in accordance with on stage 2 of our website's "Booking" section. Our prices include applicable taxes in force when you are booking. This fee is lower than the one put up in the shop. Indeed the pre-booking facilitating our logistic, the e-booking gives you the opportunity to benefit from discounts. Please note that : you will benefit from those special fees only if you confirm your reservation by paying the part payment at least 2 days before your arrival. Ski Technic has entered into a service agreement with a bank and ATOS WORLDLINE concerning the e-business, the BS@NETPAIEMENT convention. This convention aims at insuring all the necessary features to manage a merchant service and to securely acquire payments over the Internet. ATOS WORLDLINE handles trade security and insures secret data protection (deciphering keys) and management. The agreement of the central credit/debit cards’ network validates the reservation on the website. In case of a refusal from the central credit/debit cards’ network, our society keeps the right to cancel the reservation. The financial fees (fees that the banks charge you according to the exchange rate, commission for transactions made outside the territory where the card was issued, and other banking commissions,...) that may be linked to the e-payment remain the customer’s responsibility. Those fees correspond to the fees that may be debited (exclusively by the customer’s bank) because of the use of the credit/debit card. During the transaction, the customer is automatically connected to the payment processing centre's server. The banking datas, protected by encryption do not transit through our systems, therefore they are not stored by us in anyway. Your reservation made, you will receive by email a RIB with our bank details. Make a bank transfer to the indicated account details (on the RIB) of the amount (including taxes) indicated on your reservation coupon. As soon as the transfer is received and cashed your reservation will obtain the following status: "confirmed" and you will be able to print your reservation coupon. Ski Technic authorizes the payment of the rental by French holiday vouchers (ANCV) or postal checks for any reservation registered more than 10 days before the first day of rental. We advise the customer to mail a holiday voucher of an equal or lower amount than the amount of the reservation, and if needed topped up by a bank check or a postal check. If the amount of the holiday voucher is higher than the amount of the reservation Ski Technic won’t be able to give the change back to the customer. The reservation is effective and confirmed only at the time of the cashing by Ski Technic of the amount of the deposit and when the customer receives a confirming email containing the reservation coupon to be printed and presented by the client to the shop. The rental period starts as soon as the equipment is collected by the customer in the shop Ski Technic until the returning day (included) according to the duration indicated on the reservation coupon printed by the customer and given to the shop Ski Technic. The equipment can be collected the day before the first day of the rental period after 4:30 PM and returned at the end of the last day of the rental period or on the following morning before 10 AM. Any return of equipment made after 10 am on the following day of the planned return date on the coupon will entail the billing by Ski Technic of one day of rental at the prices shown in store. The rented winter sport equipment becomes the full responsibility of the customers as soon as collected by them. The customer shall ensure its conservation and shall make use of it with due care at all times. Taking possession of the rented equipments remains the responsibility of the customer. In case of late collection of the rented equipments, the customer shall inform Ski Technic as soon as possible. The shop keeps the equipment at the customer’s disposal for 24 hours. Passed this time, the equipments will be made available for renting again, without compensation to the customer. The rented equipments shall be returned to Ski Technic where they were collected. Failure to return the rented equipment - regardless of the reason - will result in billing the customer for the full value of the equipment at its public price as new, in addition to the cost of the rental. The customer can prevent himself from the theft by subscribing (at the time of the reservation) to the « damage/theft » guarantee (Article 5). The hired equipment is for the customer’s use only, without any possibility of subletting or lending, even if it is for free. The customer is the sole judge of his ability to use the rented equipment. He certifies his ability to use the rented equipment and pledges to use it cautiously without any risk for any third party according to the regulations in force. All rental equipment is in good condition and shall be returned as such. The numbered or marked equipment shall be returned with the same numbers and the same mark. Any damage - regardless of the reason - will require direct payment to Ski Technic for the repair or replacement cost of up to the full value of the equipment at its public price as new, in addition to the cost of the rental. The customer can prevent himself from the theft by subscribing (at the time of the reservation) to the « damage/theft » guarantee (Règle 5). In such circumstances, Ski Technic will do their best to make available to the customer an equipment of equal or higher quality according to availability. If the ski equipment is stolen, the customer has to declare it to the police station and fill in a theft report. A franchise remains applicable according to the pack you rented (Bronze : 190€ ; Silver : 320€ ; Gold : 480€). The ski equipment is not insured against being forgotten, lost, or exchanged at any time during the period of the rental. Customer's obligations in case of loss : In case the ski equipment is stolen, the customer will forward a receipt of the theft report made to the relevant authorities (the police, for example) to Ski Technic.In the event of damage to the ski equipment, the customer will bring the damaged equipment back to the shop. The customer has 7- days from the booking confirmation to cancel the reservation. If this period were to end on a Saturday, Sunday or on a bank or public holiday, it shall be extended to the next working day. This cancellation right does not apply where the reservation is booked 7 days or less from to the scheduled pick-up. In case of use of the withdrawal right within the 7-day cancellation period, the sums paid by the customer shall be refunded less an administrative charge of 1€ per person including taxes (file fees). The refund is made whether by crediting the card used for the transaction; or by bank check if the customer paid by bank check or holiday voucher. Any cancellation until 5 days (included) before the starting date of the rent will engender the refund of the reservation minus 5% of cancellation fees. Beyond D-4, no cancellation will be possible and no refund will be done on the deposit made. In case of illness or accident occurring during the rental period, the rental conditions remain applicable. The equipment rented by the effected customer only may be returned and billed in pro rata for the number of days of rental actually spent (upon presentation of a medical certificate). In this case, the refund will be made whether by crediting the card used for the transaction; or by bank check if the hirer paid by bank check or holiday vouchers. Any already started day will not be refunded. In this case, the refund will be made whether by crediting the card used for the transaction; or by bank check if the hirer paid by bank check or holiday check. This website has been co-edited by Ski Technic and Cap Mediations. Ski Technic is a ski shop that rent winter sports’ equipment in Val Thorens. The internet hosting is assured by 1&1. The mark and the logo Ski Technic appearing on this website are owned by Ski Technic. The logo Ski Boutique is owned by Fahrenheit Seven. Their use does not include any licence or right to use of the brands that, therefore cannot be used without the written agreement of the owner at the risk of being accused of infringement. No right except from visiting is conferred to anybody. In particular, uploading this website online does not include any using licence of the named brands above. The website has been realized by Best Connecting Ltd. In application of the Code of the intellectual property rights, the general structure as well as all the elements of this website (editing, texts, photos, illustrations, logos, icons, programs, downloadable files, videos or audio files, etc...) are entirely owned by Ski Technic. Those elements are protected by the French laws and international texts about the respect of the copyright. The copy and/or the presentation of those elements is authorized only for information for a strictly private use, excluding any visualization or public diffusion. In particular, the framing is forbidden (presentation of one page of this website in another website that does not own the present website). Moreover, the in line linking is forbidden (linking an element of the website from another website). Finally, setting hyperlinks to any other pages than the home page needs Ski Technic’s agreement. This agreement can be obtained by asking it to the webmaster by email at the following address : contact@skitechnic-valthorens.com. The use of the content of the website in violation of the terms of the licence can be constitutive of infringement, punished, by application of the articles L335-2 and L716-9 of the Code of the intellectual property rights, of 3 years of jail and of 300.000 € fine. All rights reserved PHOTOS, VIDEO, TEXTS, GRAPHISM : SKI TECHNIC / VAL THORENS / Best Connecting Ltd.